Sometimes you do a project for art, sometimes you do it for money. French director Jean-Pierre Jeunet helmed the Oscar-nominated film Amelie back in 2001. Not only was it a critical success, but it also took in $152 million at the box office. Jeunet decided to sell the rights to the film in order to support his favorite charity, the Mecenat Chirurgie Cardiac (Heart Surgery Patronage). Even though his good deed is saving dozens of sick children, he has a few regrets about losing the rights to his creative work. The French movie is about to be turned into a Broadway musical. Jenunet didn’t hold back about his feelings for musical theater. “I hate Broadway. I think it is the very incarnation of tackiness,” said the Frenchman. In fact, he’s downright “disgusted” by the direction producers are taking his pet project. 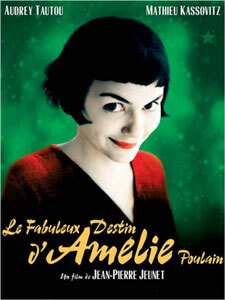 Amelie will be adapted for the Broadway stage by Dan Messe. No dates for the production have been announced yet.